The Ultra Finish Polish by Meguiar´s is a product suitable for quickly, permanently removing holograms and light defects on all painting types giving car surface an intense gloss. Easy to apply and remove with a Super Soft Foam Bonnet by Meguiar´s (WRFF7). 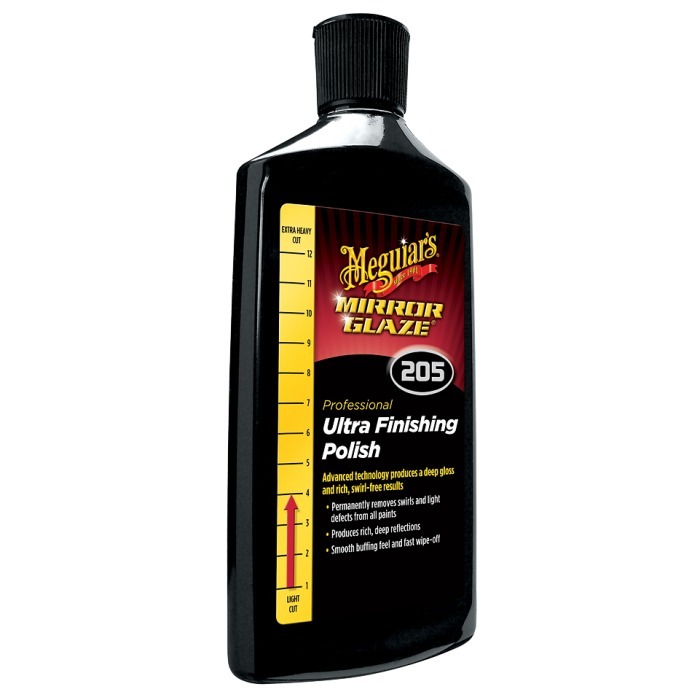 Use it after Ultra-Cut Compound (M105) or any other compound by Meguiar´s. Safe for use at repainting workshops.